It seems as though there will be an SP version of the new 2018 CB1300SF/SB (Super Four / Super Bol d’Or) that acquired a cheeky exhaust note, despite the emission rules that were introduced in Japan from 2016. 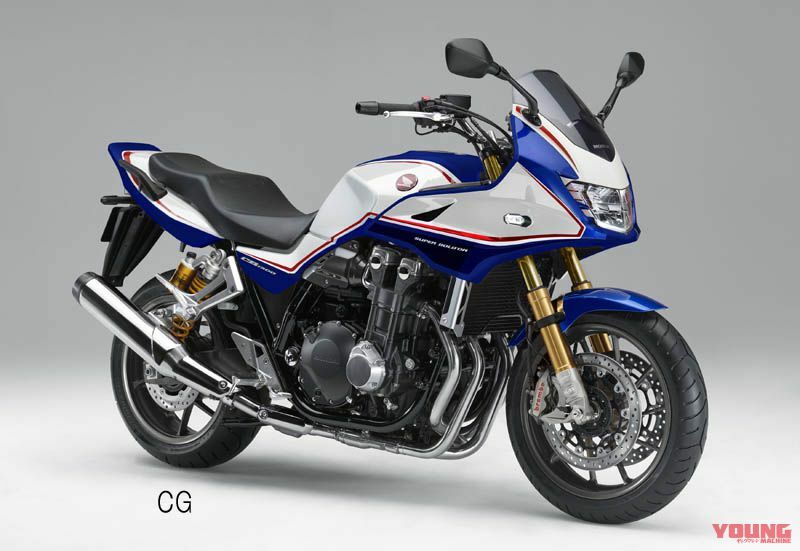 Also, it looks like the new release will recall the blue & white colouring of the 1982 CB750FC, and will be adorned with stunning framework. (Honda CB1300 Super Bol d’Or SP [CG prediction] Expected price: $17,200. 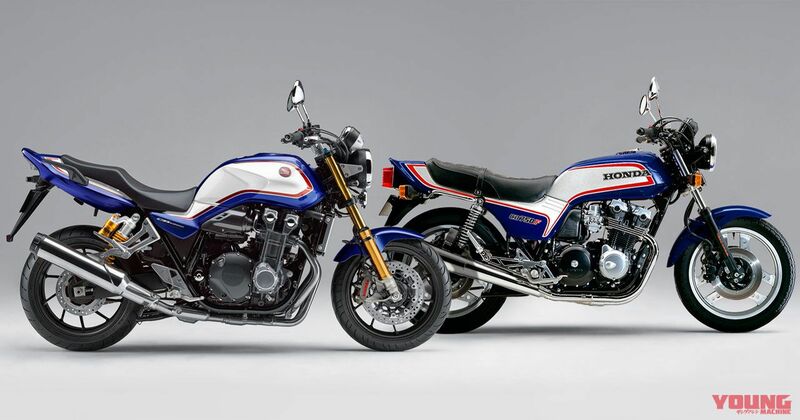 Estimated time of appearance: July 2018) Both the SB & SF models are based on the image of the CB750F with the blue, white & red paintwork. These colours are set off yet further with the gold suspension areas! This really is looking set to be a proper SP version. (Honda CB1300 Super Four SP [CG prediction] Expected price: $16,275. Estimated time of appearance: July, 2018) Both the SB & SF models will be equipped with brembo radial mounted calipers and ohlins front & rear suspension. 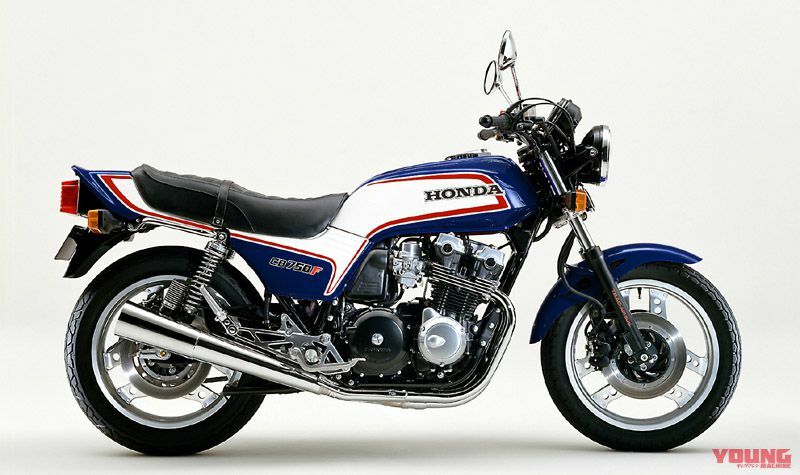 (Honda CB750F, released on June 10th, 1982) It is thought that the blue on the upcoming CB1300SF/SB SP models is based on the motif of the final version of the CB750F (CB750FC). 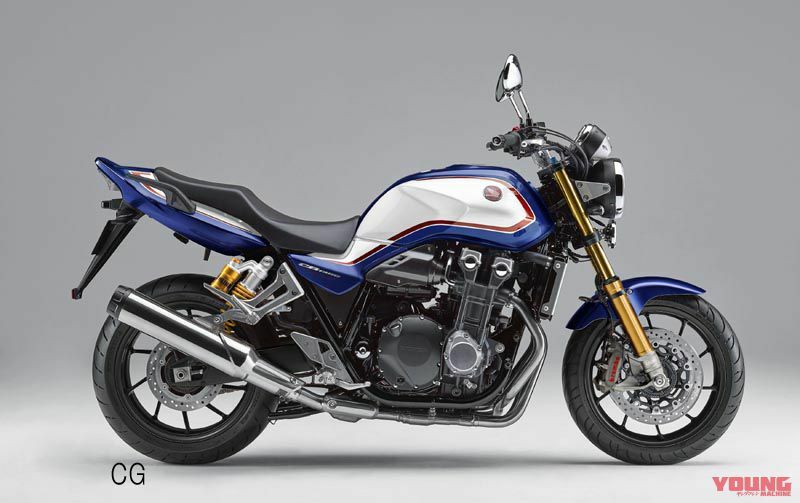 Other than these colours being used in 2002 to celebrate a 10 year anniversary with the CB1300 Super Four, the same colours also appeared on the CB750 models from 2005 until the final version in 2008.